Is the book "The Shack" help or heresy? The book “The Shack" is a feel-good fictional story about a man named Mack whose daughter is murdered. Mack subsequently has an encounter with God in a shack in the woods, and through this meeting he's healed emotionally and spiritually. Sound good? Of course it does. The only problem is that there are many false teachings laced throughout the book. This should be important to anyone who claims to be a Christian because as those who hold to the inerrancy, inspiration, and final authority of the Word of God, spiritual truth is to be taken seriously. The Shack misrepresents God risking breaking the first two of the Ten Commandments. Instead of describing God as the Majestic Supreme Being that He is, The Shack dumbs Him down and makes him more palatable. God the Father who, according to the Bible, cannot be seen (John 6:46; 1 Tim. 6:16 - see God the Father cannot be seen), appears in the form of an African-American woman named "papa" (p. 86 - talk about gender confusion) who has scars on his wrist (p. 95). Wrong! The Father was not crucified. Jesus is presented as a Middle Easterner wearing a plaid shirt with rolled up sleeves (p. 84). The Holy Spirit appears as an Asian woman (p. 85). This is not how God chose to reveal himself in the Bible, yet Mr. Young violates what the Bible says and justifies these false representations by saying it is only fiction. Is falsehood about God okay if its only fiction and makes you feel good about God? "but whoever blasphemes against the Holy Spirit never has forgiveness, but is guilty of an eternal sin," (Mark 3:29). "And these will go away into eternal punishment, but the righteous into eternal life," (Matt. 25:46). Clearly, the Shack contradicts Jesus, the very person it claims to speak for. Real biblical Christians are supposed to follow the voice of Christ (the Bible), not the ear-tickling melodies of teachers who use feel-good stories and emotionally laden half-truths to lessen God’s majesty, present humanist philosophy, and teach universalism. Lighten Up. Its only fiction!!! Are we being too critical? Certainly not. When anyone violates scripture, he is wrong. The Bible says in 1 Cor. 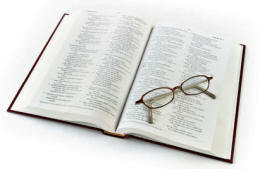 4:6, "...do not exceed what is written..." That is a command, not an option that is disregarded if a story is fiction.